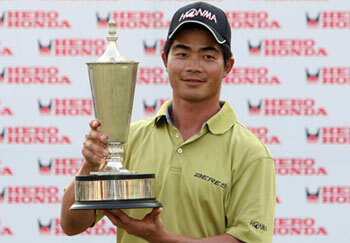 Liang Wen Chong, contracted player of HONMA,won Hero Honda Indian Open Asian tour. On Oct.12,Liang Wen Chong birdies the last two holes for an emphatic wire-to-wire success. "I'm delighted with this win. It's my first trimph from start to finish and I'm really happy"
"This is an important win for me. It proves that I'm heading in the right direction"